"Just a note of thanks to Merri and all her staff for the kindness and encouragement shown to me and my Mother today as our beloved Midnight had to be put down. I can say without any hesitation that Dr. Merri is the primary reason he was with us as long as he was as she treated him like her own pet. He had so many strikes against him since birth, but with her expert care and the love we tried to provide him, we somehow managed to blessed by him for over six years. Many thanks to all the staff who have been wonderfully patient and helpful with a patient who was not always easy to deal with. God bless you all for all you have done for Midnight and for us as well." "Dr. Merri and staff cared for my "scooter" up to the day i had to put him down. They took such great care of him, they treated him like he was one of theirs. Dr. Merri would answer all of the questions i had and she would explain all the test that she would do so that i could understand what would be happening to him. I would send all of my family and friends to Dr. Merri if they are looking for a vet. When and if i get another animal she is the one who will be treating them. Thank you all for your support with scooter." "We are so fortunate to have Dr. Merri as the vet for our family. She has cared for all of our animals since she opened her clinic. We have used other vets in the past, but she is definitely the most genuinely caring and compassionate vet that we have seen. When our boxer was tragically killed by a car, I wanted to surprise our family with a new dog for my husband's birthday. Not only did she recommend a breeder but when a new batch of puppies were ready, she called and talked with the breeder about our needs as a family and helped me make the best choice for our family. Dr. Merri is a wonderful person and we are very thankful for all she has done for our family." "Christine and I were fortunate enough to be introduced to Dr. Merri when she first came to Woodruff. Through the years and growth of her practice we have never seen such a perfect union of knowledge, professionalism, and compassion from Merri, Chris and the entire staff at the hospital. From a diabetic cat to a torn ligament and so many things in-between over the years, we know that our “family” has received the absolute best care and treatment available anywhere. We could never be convinced to trust anyone else." "Dr. Merri and her Staff are incredible and worth the drive we make to have her tend our loved ones! We moved to the Upstate 10 years ago and they have taken care of our pups since our relocation. Dr. Merri has helped us through our difficult time of losing our 17 year old, LadiBelle, with her compassion and sincere love for our pet. They followed up by saving the life of our other elder-pup while she gave us the gift of two puppies. Dr. Merri and her Staff continue to care for our growing 'foundling' family- FOUR at this count! My husband and I recommend her with the highest kudos! Dr. Merri Walden Crenshaw and her Staff are compassionate, caring and a loving encouragement to the pet lover's community in our area. Our love and appreciation to the them!" "Here at Two Ponds Kennel we have been raising and loving English Mastiffs for many years now. After working with Dr. Merri for several years now we have come to rely on her knowledge and helpful staff for the needs of our adult dogs and puppies. The care of a litter of puppies worth well over $10-$15,000 is a no small sample of trust and we have been returning to The Woodruff Animal Clinic for all of our veterinary needs. Dr. Merri is the best, and we highly recommend her to our friends and new puppy owners that live in the area." "I would not even think of using any other vet for my babies.My husband was taking his dog there when i married him in 2003 and brought my 2 babies, into the family, Fancy and Bratt, Dr. Merri is the best , she loves all the pets and takes care of them as if they were her own. We lost Kirby, my husbands dog from before our marriage but have gained Bascha, a rotty, and Bratt had 2 boys, Boone and Tank, Fancy is almost 17 years old and for the past 3 years has had a lot of illness, (chronic pancreaitus, diabetes,heart murmur). Dr. Merri has treated her with the best of care; she calls her the dog with 20 lives.. Dr. Merri, Chris and all the staff are awesome caring people, would recommend them to everyone for the best care for your pets." "Dr. Merri has gone the extra mile to take care of our pets (2 dogs and 2 cats). Both of our cocker spaniels have had severe, unrelated close calls and they could not have been in better care than that provided by Dr. Merri. It's been clear to me that Dr. Merri and her competent staff really take the high road to offer the best care to their real clients (the animals). I'd recommend the Animal Clinic of Woodruff highly." "Dr. Merri helped my family through a very difficult time. Anyone who has a dog starting out in their marriage knows that the dog is not an animal, but your child. Our child's name was Minka. She was an Akita, and still our "baby" even after we had two babies the old fashion way. Long story short, our "baby" contracted a disease that was difficult to diagnose. Dr. Merri (fresh out of veterinary school) was not only able to diagnose the problem, but helped us find a specialist to treat her disease. Sadly, our baby passed away after battling the disease. However, Dr. Merri made sure she was given the best treatment possible. Present day, Dr. Merri now has her own practice. The staff at Woodruff Animal Clinic is the best! We now take our "adoptive baby" Roxy to Dr. Merri and the wonderful and loving staff at Woodruff Animal Clinic." "I have seen Dr. Merri in the field working beside her and have seen up close how great she is with the animals. Thats what made my decision to drive 35-45 min to take all my animals to her. She is AWESOME!!!!!!" "I had a dog named ED but he was actually a she! Dr. Merri took very good care of my Eddie and when I had to have my baby put down Dr. Merri cried right along with me and my son. The next day she sent us a sympathy card and that was so special to me." "Dr. Merri & Staff took care of our Boston Terrier up until she had to be put down. We will always appreciate the love, care, and medical expertise shown toward "Bubbles." 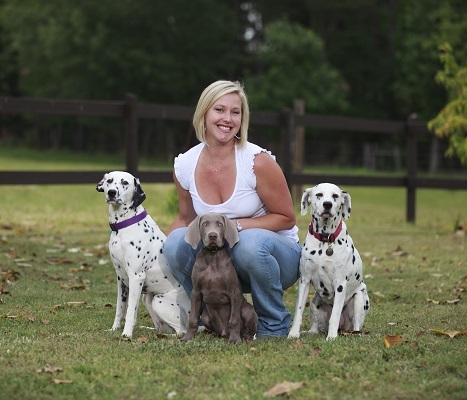 Dr. Merri Crenshaw is a top notch vet and genuinely loves animals! Her staff is wonderful, and the new facility is very spacious & clean. I always recommend this vet facility to all my customers, friends & neighbors." "I have been going to the Animal Clinic of Woodruff for over 6 years now and I could not imagine going anywhere else. From the wonderful receptionist to Dr. Crenshaw, everyone has always been so nice and professional. The whole staff is compassionate and very educated. Without Dr.Crenshaw I don't know what I would have done. She gave my little Angel a lot more time on this earth and I can never repay her for those last few months that we battled with her heart disease. I recommend anyone who has loved ones that have four legs to visit the Animal Clinic of Woodruff and you will not want to go anywhere else!!" "Thank you for the excellent care you provide for our family dog, Duke! Dr. Merri and her staff are always so wonderful! My three year old daughter talks about Dr. Merri as much as the Disney princesses! You all go the extra mile and it really shows your love for animals."